Following on from the teams magnificent victory yesterday, the entire school community assembled to acknowledge a most remarkable and historic achievement. 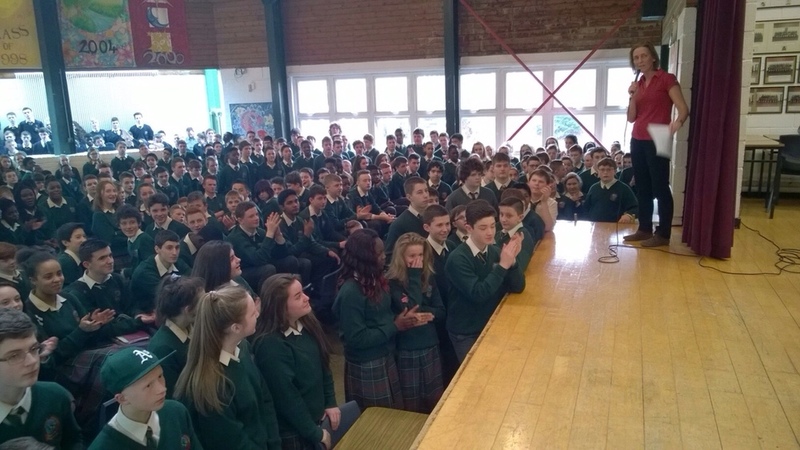 Each team member was individually presented to the school body to a deafening round of applause. Their coach Ms.McGuire, spoke highly of the teams determination and dedication displayed throughout the season as they battled to win both the 16A All Ireland Cup and League. In terms of achievement this team can go no further, they have won every competition available to them at the highest level in the land. They continue to provide inspiration to all of us in terms of what can be achieved when talent and determination are matched in equal amounts.